Out of the two projects I am doing over the course of this summer internship program, one of the projects is a raspberry pi home server. I decided to venture into the world of networking, never been previously exposed to it before, because of the potential a home server could provide. From mounting an external hard drive for everyone on the local network to access to hosting my own website if and when the time comes, the home server has multiple beneficiary uses. As this has been my first week coming full time to the lab, I have been concentrating on learning Python through Codecademy. It has been very interesting since I am able to compare it to the bit of Java I know. I think that learning the few skills I have learned until today has allowed me to have an educated preference between the coding languages I have learned. I am looking forward to completely master Python as well as learn C+ and C++. This week I have been working on our scratch game, we finally got the level reset down, that means that the first level is completely done, our second level is almost done, we just need to fix a couple of bugs that have been occurring when the main character gains a point and make the level be able to reset itself after a certain number of points have been obtained. 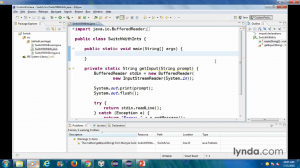 On the other hand I am going through Lynda’s Java essential training in order to be able to complete my second project, the tutorials are very good and I feel like I am really learning fast. Today has been very productive, Raquel and I have been working on our scratch game, as of right now the biggest challenge we have had is restarting the levels, getting all the sprites and backgrounds to restart their commands has not been easy, but we have almost finished the restart prompts (at least for the first level) Our game is a musical game where the player goes through different levels that each have a different song, and each level is based off of the lyrics of the song. Our first song will be Space Oddity by David Bowie, and our second song is Bicycle Race by queen. We hope to have 5 different levels, and we had the idea to make all the songs related to a method of transport just like the above two, the other songs we have chosen are airplanes by B.O.B and yellow submarine by the Beatles, each level will be a different type of mini game, hopefully our work will pay off and it will turn out to be a fun game. 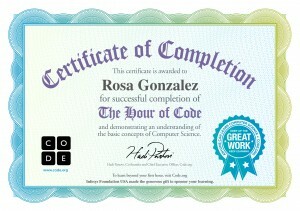 This week, we began by getting certified in two sessions of Hour-of-Code. Personally, I went through the Star Wars and Minecraft sessions, which were very enjoyable. Doing this allowed us to get a quick review of the very basics of programming. On Thursd ay we began to learn how to use Matlabs, which is used for computational science. Together, we did examples of how to use the application, then we were asked to further explore it on our own. After we went through Matlabs, Dr.Ceberio gave us two problems that we had to solve; one of the problems was having four people that need to cross a bridge and have a single flashlight, but the maximum amount of people that can cross the bridge are two; each person takes different times to cross the bridge, which are 10 min, 5 min, 2 min, and 1 min, so the question is what is the least amount of time it will take everyone to cross the bridge. Working together we estimated that the least amount of time would be 17 min. The second problem was that you have eight weights, but one of them weighs less, and so what would be the least amount of times that you would have to weigh everything to find the odd one out. We initially said 3 tries by using a binary search method, but we were wrong. We discussed it again and realized that the least amount of tries would be 2, by weighing 6 weights and leaving out 2. Today was better paced than yesterday if you ask me. We started the day by learning how to use MATLAB. MATLAB is a computational language used mainly for math and problem solving. Because everyone who is working in this internship already knows programming and coding concepts, all we really needed to learn was the syntax. 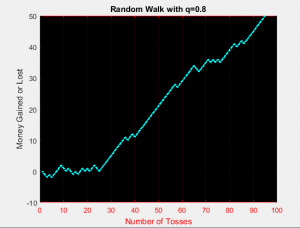 As an example, for the sake of learning MATLAB and putting it to use, we created code to plot randomized results of throwing a coin up. 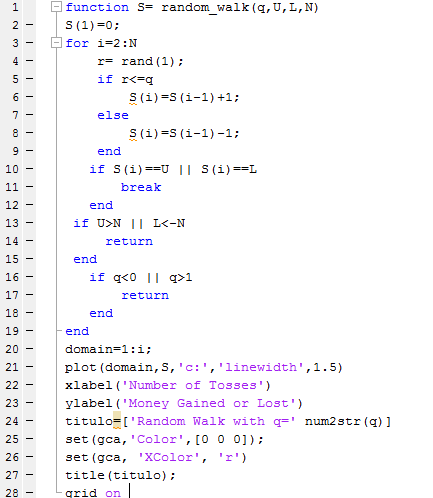 In this code, we wrote a function with 4 variables including q, U, L, N (MATLAB is case sensitive). We defined q as probability (the probability being 0.5 since its a two sided coin), U as the upper limit, L as the lower limit and N as a randomized result of said coin. Attached is the code along with an image of the plot with q=0.8, U=-10, L=50 and N=100. 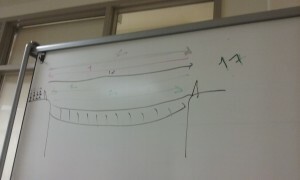 After working with MATLAB, Dr. Ceberio assigned us 2 problems to solve. The problems including one that asked, there are eight identical-looking coins; one of these coins is counterfeit and is known to be lighter than the genuine coins. What is the minimum number of weighings needed to identify the fake coin with a two-pan balance scale without weights? The other question was that 4 people meed to walk across a bridge at night. The bridge is weak and only able to carry the weight of two of them at a time. Because they are in a rush and the light is fading they must cross in the minimum time possible and must carry a flashlight on each crossing. They only have one torch and it can’t be thrown. Because of their different fitness levels and some minor injuries they can all cross at different speeds. The first person can cross in 1 minute, the second in 2 minutes, the third in 5 minutes and the fourth in 10 minutes. What is the minimum amount of time it would take for them to cross? The five of us in this internship put our brains together and started working on the second problem first. The first idea, the one almost everyone will immediately consider would have taken 18 minutes with the first trip being the 1 minute person with the 10 minute person, the 1 minute person returns, then the 1 minute person goes with the 5 minute person and again the 1 minute person returns for the 2 minute person. Although this is a solution, we all knew there had to be a better solution. We continued working together and after not too much time, we came up with a solution that takes 17 minutes. When we got assigned these questions, Dr. Ceberio told us to keep in mind a question that she asks her college students, that question being “Would you bet your house on it?” The purpose of this question is to really ask yourself if this is as good as you can get and if it isn’t the best, then keep working. The five of us all agreed that with our 17 minute solution, we would bet our house on it. Attached is the visual we made to really take this question into consideration. Its a little faded but I figured it was worth showing. Our end solution was to have the 1 minute person go with the 2 minute person, have the 1 minute person go back and then the 10 minute person and 5 minute person go back together and finally the 2 minute person returns for the 1 minute person. On the first question we were asked, that one was a lot easier to think of. 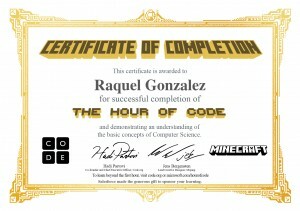 Raquel and I took a binary approach and everyone agreed it was the best solution. We found that by putting 4 and 4 coins in the both sides of the balance beam, take the lighter sized and put two and two, then take the lighter sized and finally 1 against 1 and there you have the counterfeit coin. 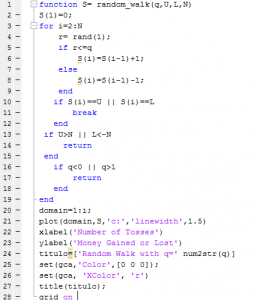 After the questions, we saw what Angel (one of our mentors) was able to do using python turtle and started thinking about what we are interested in doing with python. As of right now, I am mostly considering just making a trippy design using stamps. Today was the first day of our Nexus CS internship at UTEP. By technicality, yesterday was our first day but all we work on was establishing a schedule and talking about what we were going to be working on. Yesterday we decided that the first week’s goal for this internship was to learn basics by going into code.org and light bot to complete an hour of code. 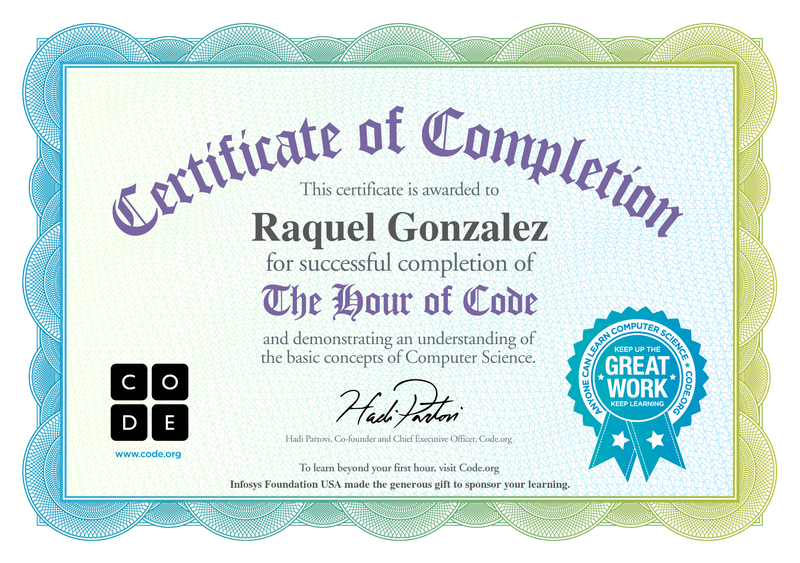 I had previously completed an hour of code my sophomore year but it was really refreshing and helpful to relearn it. 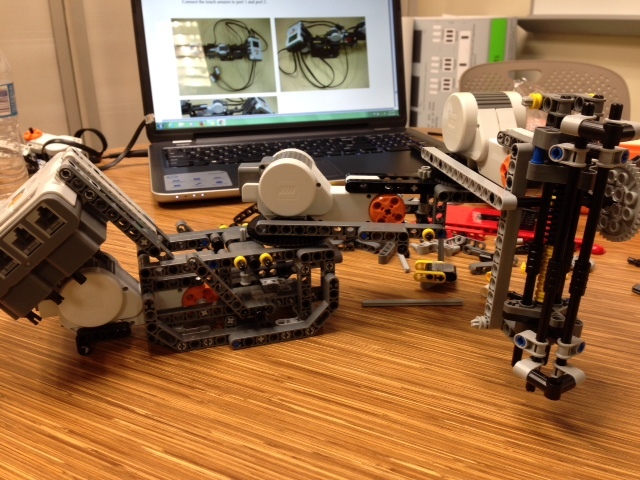 Just like my sophomore year, I worked on light bot challenge. 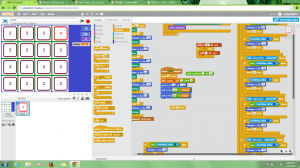 In light bot, you learn primary functions and concepts of coding and programming. Using only four commands (for the most part), the goal and objective is to light the blue squares. Sounds simple but I actually struggled a bit. I found myself struggling simply because I was over complicating easy commands. I would see a grid and would end up working harder not smarter. 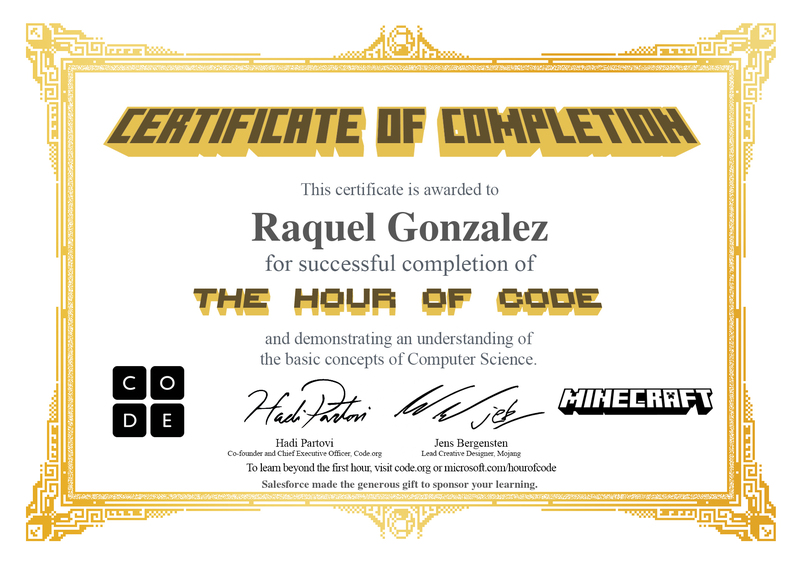 Regardless, I finished the hour of code and although the last level, 3-6, was a toughy I did it. So far it has sincerely helped rejuvenate my memory in coding. As of now, the next challenge looks like its going to be the python turtle. From my understanding, you program a turtle to draw something of your choosing. I guess we’ll see how it all works out. From my last post to this I can say its going a lot better. Last time I was frustrated and annoyed on how difficult it was to get a tile to follow my commands; Today it went better as I developed a new strategy to get the tiles to work more efficiently. What has changed from last time is that I decided to use a stamping processes rather than a cloning one. Although it required me to basically start from phase one, no time was really wasted. Stamping is working really well, and there is less hassle. So far what has change from the cloning is that instead of multiple clones appearing after a combination is made, a whole set of blank tiles have been stamped throughout the grid and when the game starts costumes will switch from blank tiles that have been made. As far as Mirka’s and I second project, It has been built and Mirka is trying to fix any problem that it has structure and movement wise. As far as programming I’m still tiring to download the software that scans the image so the robot can read it and draw it. I’m stuck on downloading some dependencies for robotcontrol, and hopefully after that I can download the rest of the software with ease. 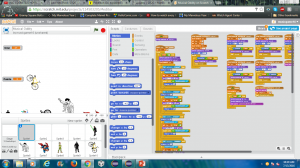 I have been making a Pac-Man game on Scratch, which can be difficult at times. Programming from Scratch I have learned a lot that I didn’t know before. I have faced many challenges that I have had to overcome, for example, one of the first problems I had was to make Pac-Man not be able to go through walls, as well as the ghosts. I had many issues doing this, because after thinking I had fixed the problem, I had realized my Pac-Man gets stuck on the walls and moves diagonally. I then realized I had to change the background of the game. I also had the biggest issue of the game, which is to get the ghosts to go after Pac-Man, without following the same movement each time. I did eventually get this to work, the only minor issue I have is the ghosts occasionally get out of the maze. I am not yet done, but am almost there. For my second project, Rosa and I have decided to make a robot that looks like an elephant. We have yet to think of a purpose for the elephant, but we have sketches and some operations for it. Even though it doesn’t have a purpose, we have had some ideas. The elephant will be for entertainment, education, or to help others around the household.